Who couldn't use a feel-good, well-meaning movie right about now? 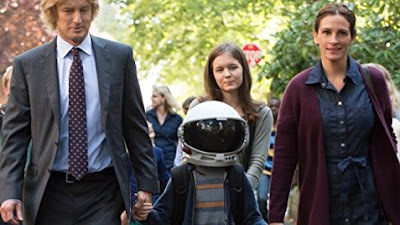 Wonder can't get here soon enough, and the adaptation of R.J. Palacio's heartwarming novel has just dropped a new trailer that promises there will be no dry eyes in the room. Directed by The Perks of Being a Wallflower's Stephen Chbosky, who co-wrote the script with Jack Thorne and Steve Conrad, the film centers on a young boy with facial deformities who attends public school for the first time. There he faces people who accept his differences willingly, but also those who greet him with prejudice. Jacob Tremblay, who everybody loved in Room, plays Auggie Pullman, with Julia Roberts and Owen Wilson as his parents. Daveed Diggs, Mandy Patinkin, and Izabela Vidovic co-star. Turn on the waterworks! Wonder opens on November 17th.